In Tune is not available for sale, however, you can learn more and stream the albums by visiting our website: www.intune2015.com. Watch for album giveaways coming up on our Facebook and Twitter feeds! Voting for the Western Canadian Music Awards will open in less than a month! To receive voting rights, you'll need to hold a current Individual, Band or Corporate membership with SaskMusic (or one of the other Western music industry associations). See bottom of this erelease to check your current status. Nominees will be announced on May 5, then voting will be open to our membership and WCMA jurors (50% membership weight, 50% juror weight). *Jazz, Francophone and Classical categories are selected solely by jurors. We'll be happy to process your new membership or renewal by phone at 1-800-347-0676 or online at www.saskmusic.org (see Login/Join button at top right hand corner). SaskMusic is pleased to announce the relaunch of its Legal Services program, with lawyer Kurt Dahl of Murphy & Company (Saskatoon and Vancouver) providing pro bono services to our members. Free legal services will be available to SaskMusic individual and corporate members beginning April 1, 2015. This is a first-come, first-served program and services are limited to issues relating to your career in the music industry. Kurt Dahl of Murphy and Company Law has been actively involved in the Canadian music industry for the past 15 years, as a touring musician, board member, and entertainment lawyer. He wrote his Master of Laws thesis in 2009 on the future of the music industry, and has practiced entertainment law in Vancouver starting in 2010, recently returning home to Saskatoon. He tours the country regularly with his band One Bad Son, working with some of the biggest names in the music business. One Bad Son recently pushed its fourth single, Black Buffalo, into the Canadian Top 10 and just finished a six-week headlining tour. He recently launched his website www.LawyerDrummer.com. Kurt served on the SaskMusic Board from 2008-2012, being re-elected in 2014; in 2013, he was invited to sit on the Dean’s Advisory Council for the College of Law at the University of Saskatchewan. For more information and/or to access this program, please visit www.saskmusic.org/how-to/legal-service-program or call SaskMusic, 1-800-347-0676. An amazing event and it happens right here in Sask! Stickman Drum Experience (July 1-5, 2015) is an amazing multi-day drum retreat providing a one-of-a-kind, immersive experience for drummers of a wide range of ages and abilities. Players learn, jam and hang with world-class musicians in an inspiring, creative, non-competitive environment. Eat, sleep and breathe drums for 3 days and 4 nights at Cedar Lodge, overlooking beautiful Blackstrap Lake. This year's instructor lineup includes Chris Johnson (Rihanna, Stevie Wonder, Patti LaBelle, Seal, Nelly Furtado, Chrisette Michele, Heather Headley, Lalah Hathaway, Anastasia, Darius Rucker), Daniel Glass - Drummer, Author, Educator (Brian Setzer, Bette Midler, Liza Minnelli, Gene Simmons, Modern Drummer's "top five R&B drummers" list), Mike Johnston, Gergo Borlai, Ronn Dunnett (Dunnett Classic Drums),YoungPete Alexander, and hosts Jayson Brinkworth and Chris Dimas (Music in the House). The Regina Regional Songwriters Group meets again this Thursday, April 16, 7pm at our Regina office, 210-2300 Dewdney Ave. Everyone is welcome to come. Songwriting tips, sharing songs, writing exercises! Bring a guitar if you play one, and a notebook! Affiliated with the Songwriters Association of Canada and moderated by members Scott Anthony Andrews and Wanda Gronhovd.. 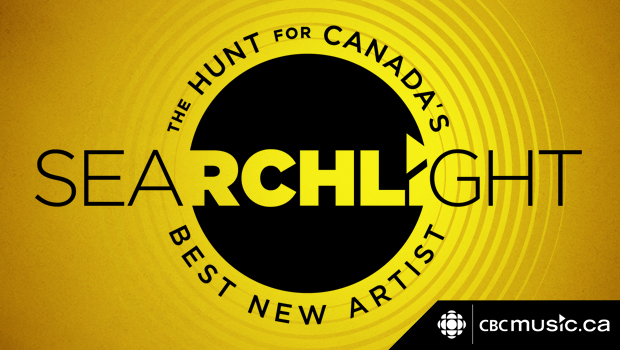 The CBC Searchlight is entering the next phase: The Top 25 Regional Semi-Finalists will be posted April 14. There were many stunning Saskatchewan tracks posted - good luck to all! Be sure to take a look on Tuesday to see who has advanced and show them your love with your votes, through April 20! Seeking performers for YXE People Connect, May 4, Saskatoon (charity event). Saskatoon hosts its first annual “YXE People Connect” event, bringing together community agencies, companies, and service providers to deliver housing supports, health care, and services to those who may be facing housing instability, homelessness or who may be at risk of homelessness. Similar events are held across the country and are considered a one-stop shop for vulnerable members of our community to access services in one place, on one day. Saskatoon’s YXE Connect is organized by a group of individuals who represent the following organizations: City Centre Church,Connect Church, Saskatoon Food Bank & Learning Centre, The Lighthouse Supported Living Inc., Saskatoon Housing Initiatives Partnership, Saskatoon Health Region, Saskatoon Regional Intersectoral Committee, and United Way of Saskatoon & Area. To register as a performer, you have to go to the registration page and then register as a free stage performer (it's free) and then fill out your information and they will be in touch with you. It's the same form you would use to volunteer if you had a different skill you wanted to donate like a hairdresser. This is just a sample of upcoming live events.Visit our Events calendar for full listings!